There was an interesting little paragraph buried in an email which Amazon sent to everyone who has an affiliate account last week. In one fell swoop, they eliminated the financial benefit of running a website which caters exclusively to listing free eBooks from Amazon. As you can imagine, this has caused quite a stir in the independent author community. While the full impact isn't yet clear, it is clear that these changes will dramatically alter how many consumers find independent authors' books on Amazon. It will also create major changes in how a lot of independent authors market their work. 1. They "sell" more than 20,000 free eBooks through inbound links to Amazon. 2. 80% of the kindle eBooks downloaded through their links are free. In one fell swoop [Amazon] eliminated the financial benefit of running a website which caters exclusively to listing free eBooks from Amazon. In order to make sense of this bit of inside baseball and why it matters for eBook consumers and authors, you need to understand a little bit more about the Amazon affiliate ecosystem. Amazon pays their affiliates a percentage of any purchase which came directly from an inbound link created by the affiliate elsewhere on the internet, usually between 4 and 8%. The percentage paid is determined by the number of items sold each month. Here is the interesting part for those of you not familiar with the affiliate program: affiliates are also paid the same percentage on anything else which that person buys from Amazon in the next twenty-four hours, as long as their affiliate cookie has not been replaced by a new cookie. 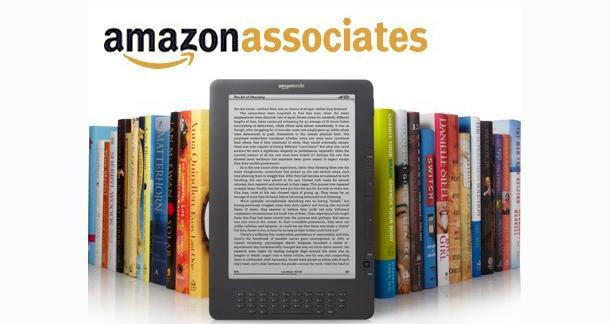 This has made free eBooks one of the hottest ways to earn money as an Amazon affiliate. They generate thousands of clicks which in turn produce large numbers of purchases. For many of the larger websites, this can easily be thousands, if not tens-of-thousands, of dollars per month. To give you an idea of the kinds of numbers free book links can generate, I recently ran a highly successful marketing campaign for my personal finance book How to Manage Your Money When You Don't Have Any through the website bookbub.com. In one day, my listing with them generated over 15,000 free downloads of my book. The next day I received 10,000 free downloads. Now clearly not all of these came from bookbub.com. However, to put it in context, if I do no marketing for a free day, I can expect to receive perhaps 200 downloads in a day for the same book. It is clear that sites like Book Bub have hundreds of thousands of inbound links into Amazon on a monthly basis. Of course 8% of $0.00 is $0.00, so what's the problem for Amazon? That is a matter of some speculation in the eBook community, but clearly the number of inbound links is affecting Amazon's bottom line in some way. One school of thought is that Amazon is attempting to curtail the amount of money they pay in affiliate dollars to websites which bring tens-of-thousands of links to Amazon each month. However, this point of view does not explain why Amazon is specifically targeting inbound links related to free eBooks. There are other websites which also generate thousands of links but are not being targeted by Amazon. In traditional book marketing, copies are given to trusted reviewers who then promote the book through blogs and other media sources. These then create a buzz about a book which leads to sales. The problem for a traditional publisher is that each copy they give away directly affects the bottom line. This limits the number of copies they can give away. eBooks face no such dilemma. Practically free to give away, they offer the publisher, or author—in the case of indie books— the opportunity to engage in a new kind of marketing. Popularized by science fiction author Cory Doctorow, this marketing plan is based upon the idea that an author or publisher needs a very small percentage of the overall market in order for their book to be a publishing success. Let's say an author is targeting 20,000 copies sold for their book, which by the way would be double the number of copies sold by the average traditionally published book. If they had to give away 100,000 copies to sell that many books, their total copies available would still be much less than one percent of the one hundred and twelve million households in the United States. (That is assuming we aren’t talking about a title which would easily sell in other countries.) By giving the books away, the author can create the word of mouth publicity necessary to make a book a success. The success of authors like Doctorow has certainly influenced the way in which the libertarian leaning Amazon has approached publishing and eBook marketing. Unlike Apple which has kept iTunes closed to direct publishing by indie authors, Amazon has welcomed self-published authors with open arms. Their Kindle Direct Program is geared to help authors promote their books through free giveaways. In exchange for offering their book exclusively on Amazon, the author is granted the opportunity to price their book at $0.00 for five days every quarter. This has been a fantastic way for authors to participate in the "give it away" strategy. Kindle Direct has helped many indie authors achieve wide distribution for their work and to build their fan base. The central thesis of the give-it-away marketing plan is that consumers who get the book for free will read it and then tell their friends about the book. However, there is good evidence to show that the vast majority of books downloaded through Amazon giveaways are never read. The word of mouth benefit can't happen if the book is not actually read. There is another fly in the ointment for the give-it-away plan. The give-it-away plan depends on new consumers purchasing the book when they hear about it from friends. The whole plan breaks down if these consumers can predictably know that sometime within the next three months the book will be listed for free again. If potential buyers are simply waiting for the next free day, the give-it-away to sell more strategy is no longer tenable for publishers and authors who intend to make an income from their writing. Certainly there will be those people who will happily pay for an eBook their friend got for free. However, in the everything-for-free mindset of the internet, it appears to be the case that many people are becoming conditioned to wait to get books by indie authors when they are free. Recently, I have been tweeted by fans who have not read my novel, Aetna Rising, asking when it would be free. Also, many indie authors are reporting highly successful giveaways, but they report much smaller after-giveaway sales bumps than was the norm in the past. Some of this may be attributed to changes in the Amazon algorithms which no longer appear to count a book given away as equal to a book sold when it comes to making book recommendations to other customers in the future. However, it also seems likely that some of the drop off may come from changes in customer behavior, rather than simply from changes in Amazon's recommendation engine. I suspect that Amazon's move to crack down on websites which generate large numbers of free downloads doesn't have to do with affiliate dollars, but rather a shift in consumer behavior when it comes to highly profitable eBooks. It appears to me that Amazon is working to deemphasize giveaways and instead support those eBook affiliate websites which look for overall deals, including books on sale for $.99 and $1.99. My guess is that Amazon is attempting to reorient the consumer toward paying something for their eBook purchases, rather than getting all their eBooks for free. For consumers, Amazon's move clearly signals the beginning of the end for the unsustainable "get all your eBooks for free" craze. Just what it means for independent authors like myself is not yet clear. However, I suspect that it will have a positive effect in the long term. In the end, anyone who sells books for a living needs to get paid for their work. It appears to me that the give-it-away-to-sell-more model is becoming less and less tenable, especially for mid-list and new authors. If this is the case, the new policies from Amazon, which will put more emphasis on $.99 deals, should be good for independent authors in the long run. To be honest it doesn't sound bad to me. The free ebooks are nice but no one seems to read them anymore. They tend to sit and languish on kindles on the "maybe later" pile, whilst more free ebooks get piled on. If the customer is encouraged to pay at least something for a book, even .99 cents, then I think it'll urge em to read the darn thing as well. That is my thought. My hope is that with even a little investment required readers will read a higher percent tags of the books they purchase. I also wonder if it will shake up the best sellers list at all. I agree as well. The free book idea, much like most of the trends in the still-new ebook fandango, seems to have run its course. What is most fascinating is how much Amazon drives these trends and seems to constantly be inciting the entire paradigm shift in ways that, mostly, have helped indie and self-pubbing authors. Authors will find new ways to generate word-of-mouth interest in their writing even without free book sites being as dominant as they've been, and forcing there to be a price for content can only help those who are generating the content. Wouldn't it be easier to avoid if they just didn't allow a book to ever be given away twice?